Most people will never need a guardian. 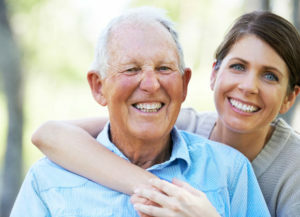 If you plan well, talk to family about your wishes, and prepare legal documents to designate someone to take care of your affairs when you are no longer able, a guardian would generally not be necessary. Unfortunately, unexpected events can occur, and not everyone plans well. Coordination – promptly applying for benefits, coordinating services, overseeing care plans, medical appointments and any necessary treatments plans. All efforts are made to adhere to the ward’s wishes and support the least restrictive safe environment. Advocacy – Educate the ward, their family and the community about guardianship and the alternatives. This includes facilitating the Family Guardianship Course in partnership with SCF twice a year, and providing community education to individuals and groups. Florida has a robust Office of Public Guardian. Through the Florida Department of Elder Affairs, seventeen offices across the state are funded to provide guardianship services to indigent clients. At any given time, there are men and women, across the state of Florida, whose lives are in jeopardy because they are unable to care for themselves. People who can’t care for themselves and have nowhere else to turn would be left with no hope without Lutheran Services Florida’s (LSF) Guardianship services. For people in need of guardianship services, their lives have moved past the edge. They are in danger. Unfortunately, anyone, at any time, could suddenly find themselves at a place where they can no longer care for themselves and have no one to care for them. This is why LSF has, for over 25 years, provided guardianship services for people – young adults to elderly — who are unable to adequately care for themselves. Sometimes this determination is made by loving family members who want the best for their mothers or fathers or siblings or children, even grandchildren. Other times this determination is made by a judge because there are either no family members around to make that decision or the closest family members have somehow harmed or victimized their incapacitated family member in some way. Sometimes, people come to LSF victimized. Other times, people arrive with debilitating mental or physical health conditions. Usually, these people are beyond hope and quite often afraid. With the care and attention of LSF Guardianship, people’s lives are restored far beyond basic stability. Due to LSF’s commitment to helping people live with dignity and hope, our Guardianship services are central to our mission. LSF Guardianship began in Sarasota County over 25 years ago, and since then has served approximately 1,500 people who may have otherwise been left unattended and vulnerable. In the late 1980s, LSF began noticing that increasingly more people were left to fend for themselves. Determined to help, LSF started the guardianship program in 1990. Compelled by our belief that every life should have value and dignity, LSF has unwaveringly remained committed to serving some of our community’s most vulnerable, and often unseen, individuals. Guardianship case managers help ensure that the people we serve live in safe, clean, healthy environments, and receive appropriate medical and mental health care. Guardians also organize clients’ financial affairs, including paying bills, monitoring insurance issues, applying for benefits, and managing income and assets. 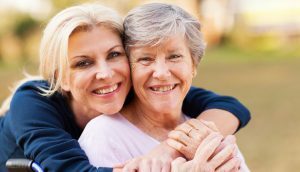 LSF Guardianship services assist people who are unable to care for themselves age 18 and over in Sarasota, Manatee Desoto, Escambia, Santa Rosa, Okaloosa and Walton counties.